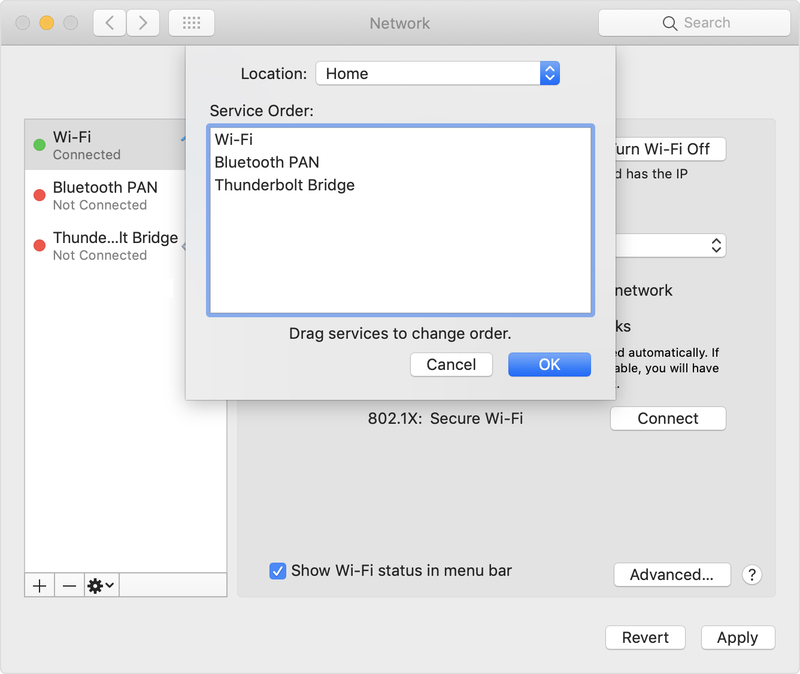 Very useful when you want to give your WiFi less priority than an USB or Thunderbolt network adapter: [WayBack] macOS Sierra: Change the order of the network ports your computer uses to connect. It is not just that the topmost adapter gets more priority: it also determines the DNS search! Anyway: after choosing “Set Service Order” on the right, choose the order as seen below. This entry was posted on 2018/10/15 at 18:00	and is filed under Apple, iMac, Mac, Mac OS X / OS X / MacOS, MacBook, Power User. You can follow any responses to this entry through the RSS 2.0 feed. You can leave a response, or trackback from your own site.